Dr. Thomas P Seager is an Associate Professor in the School of Sustainable Engineering & the Built Environment at Arizona State University in Tempe AZ. Dr. Seager leads research teams working at the boundaries of engineering and social science to understand innovation for resilient infrastructure systems, including the life-cycle environmental consequences of emerging energy technologies, novel approaches to teamwork and communication in socio-technical integrative settings, and engineering ethics education. Current research sponsors include the National Science Foundation, the US Army Corp of Engineers, the Environmental Protection Agency, and several industry partners. 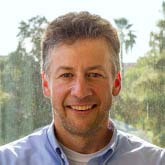 Dr. Seager is the Faculty Director of the Resource Innovation Solutions Network (RISN), a partnership of between ASU, City of Phoenix and other local municipalities for fostering circular, closed-loop economies. Additionally, Dr. Seager serves as Chairman and Chief Executive Officer of two startup companies. The first is eXperiential Sustainability Ethics Training (XSETGames, LLC) creates digital simulations for examining economic and ethical dimensions of wicked problems including pharmaceutical pricing, intergenerational equity, and the Tragedy of the Commons. These simulations have been used by corporations, government agencies, and higher education clients, including dozens of Universities on three different continents. The second is Building Integrated Solar Thermal Electricity Generation (BISTEG-USA, LLC), which is developing full-scale working sculptures that create electricity from sunlight without using photovoltaics. BISTEG is currently working with the City of Adelaide, Australia to create a technology demonstration wall that will help realize their vision of becoming the first carbon neutral city in the world. Lastly, Dr. Seager founded the non-profit Sustainability Conoscente Network as a mechanism for sharing knowledge related to systems approaches to sustainable technologies. The Conoscente holds the International Symposium on Sustainable Systems and Technologies in May of every year issst2016.net). Berardy, A. and T. P. Seager. 2012. Assessing trade-offs in diet variability with life cycle assessment: Beef vs. seitan. Presentation at the Society of Environmental Toxicology and Chemistry (SETAC) North American 33rd Annual Meeting, 11-15 November 2012, Long Beach, CA.